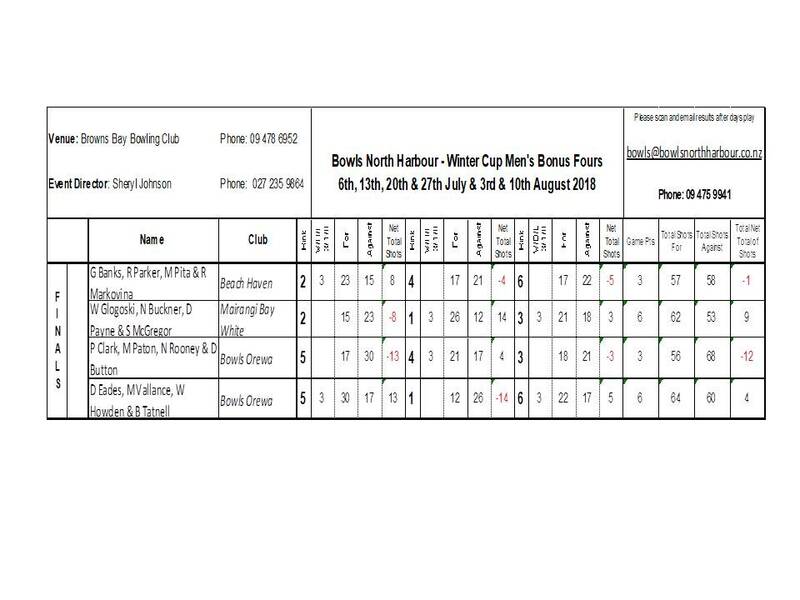 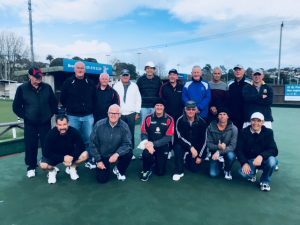 The men’s winter cup has concluded in overcast conditions at Browns Bay Bowling Club. 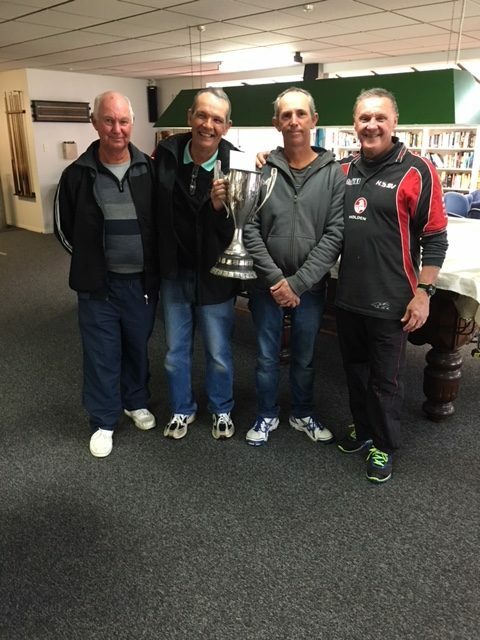 This cup has been played for since 1972 and congratulations to Mairangi Bay men who have won this years event. 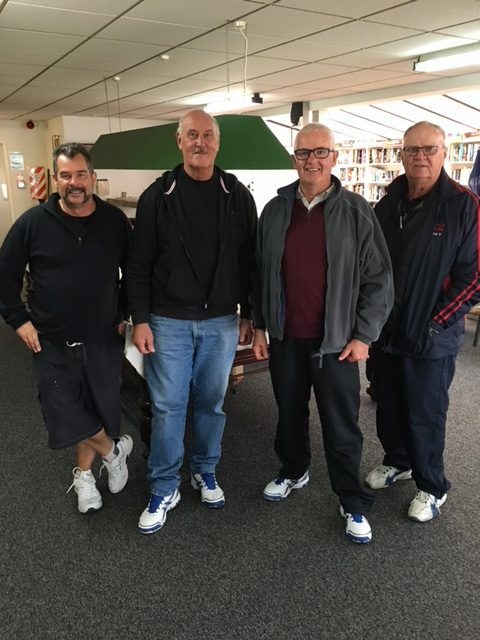 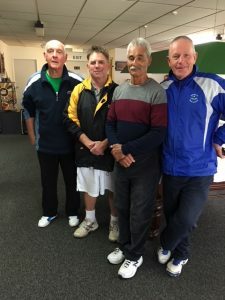 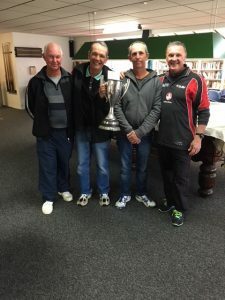 Mairangi Bay – Wayne Glogoski, Neil Buckner, David Payne & Steve McGregor won 2 out of 3 games in the round robin finals day to clinch the first title for the men in the 2018/2019 Season, finishing with 6 points +9 NTOS. 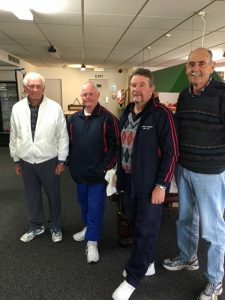 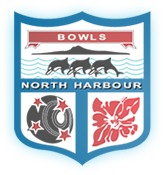 Thanks to Browns Bay Bowling Club for hosting the Men’s Winter Cup.